I read from a post of a friend that writers/bloggers/publishers have the responsibility to invoke new thoughts for the reader. It served a good reminder for me to be more thoughtful about what I blog about. I'm now midway through my 30-day challenge and I must admit that there are days that I don't feel like writing. 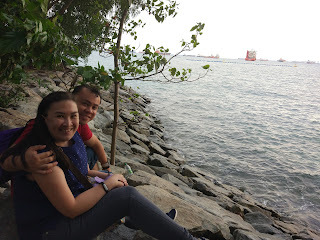 I end up forcing myself and just sharing what I experienced for that day (like YFSF yesterday). Those posts don't necessarily provoke any meaningful thoughts for the reader. So I told myself I shall try better. Yesterday a new Miss Universe was crowned. There was a lot of talk online about the performance of our candidate and how she had answered the Q&A. I chose not to watch the whole show and just read and watch snippets online. Hubby chose to watch the Royal Rumble and the top 6 was just announced when I woke up. The contest though made me think about the greatest change in the last 10 years. Technology has changed how we live. My surgeon said that it's like we have a phone stuck on our hand all the time. We are always looking at a tiny screen for updates and information. Getting information at an instant is good. It's the information age where you don't really need to remember much because you can just easily search for information. The dark side though is we are so easy to judge with just snippets of information. I could go on and on about it, but I think it's really up to us individually how we wield this power and how you process information. It still boils down to your values. What about you? How have you been using technology? I have been watching this show since it's first season and it's been a pleasure to watch how each of the artists grow as the show goes. When they announced that they were going to do one with kids I thought it would be very difficult for the children to cope. It's the fourth week now and I am just simply amazed with how the kid performers have been improving every single week. Prior to "Big Bang Theory" the sitcom I loved was "Friends". I was stuck inside a plane in the past week so I got to watch season 6 again (yup all 24 episodes). I was left on a cliffhanger though because Chandler's proposal to Monica I think was shown as the first episode of season 7. It's been more than 10 years since the final episode of "Friends" showed, but it's still fun to watch. I'm sad though that my complete set went underwater due to Typhoon Ondoy (but maybe the one who gave it to me will give me a new set haha). The show is really funny and the character stories grew throughout the years, so it's still good to watch every so often (very high entertainment value!). Too bad the show ended. "Big Bang Theory" is now on it's tenth season, I hope it won't end though. 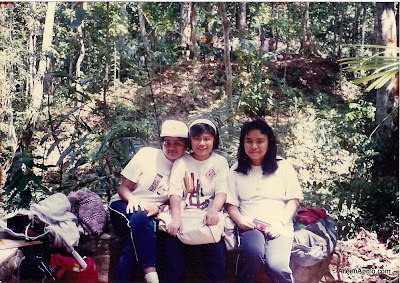 November 2007 at the STI National Youth Convention in Baguio City. I think though the greatest achievement lies on all the communities and users who have helped Google Philippines grow. From one measly person (me) who used to just work at home and anywhere I crashed (thanks to Yehey.com who adopted me for awhile), the office has grown a lot (and I haven't visited for a year already sorry). For five long years I was alone but very much supported by the communities. The knowledge, learning and use of the platforms grew a lot with the help of the communities and this will forever be appreciated. 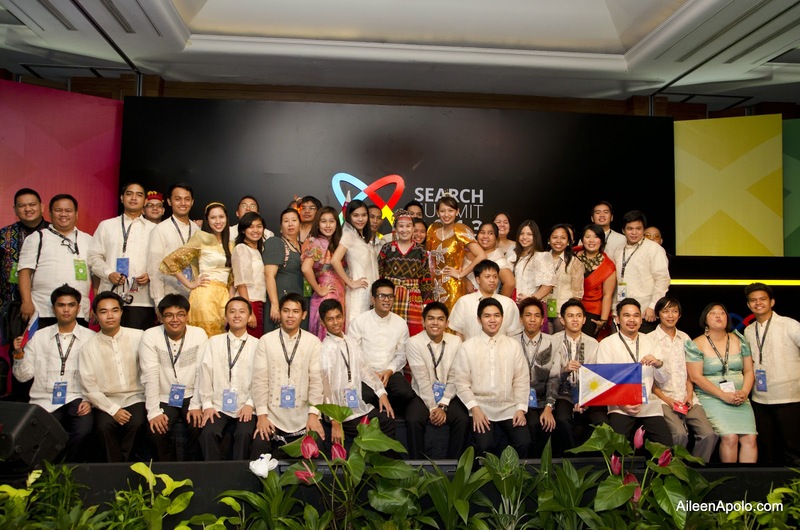 The Philippine community leaders from Luzon, Visayas and Mindanao with the Filipino Google Student Ambassadors at the Search Summit in 2013. Some of the Filipino Google Student Ambassadors (2013). 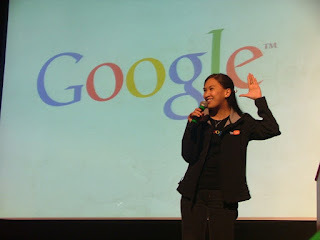 I learned a lot from the 5 years I was country consultant for Google in the Philippines. I had the opportunity to work across many different products and programs. 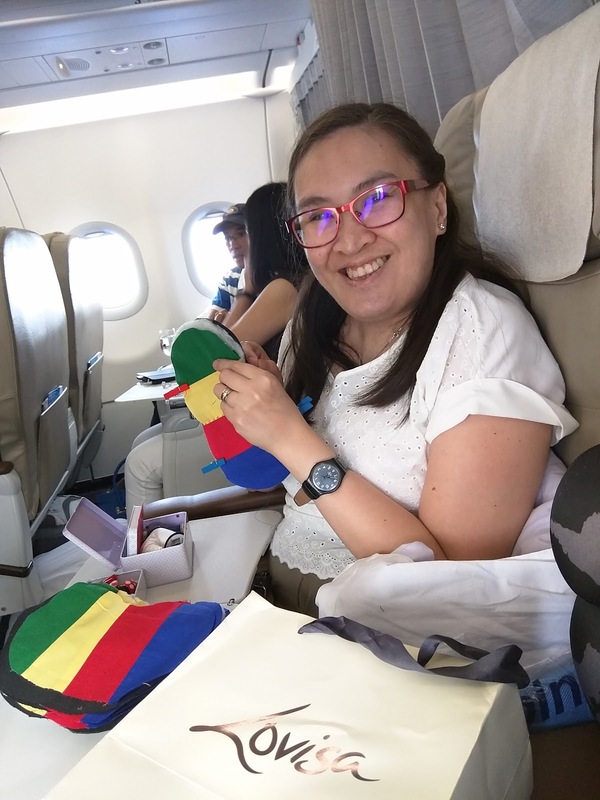 The skills and experience I got from working in my country and meeting many supportive people across different sectors will continue to be my inspiration for the work that I am now doing for other countries. Of course, I will continue to serve for the education programs and crisis response work for the Philippines as long as I could. My high school reunion is coming up in two weeks. I told my manager that I will have to take some time off in February to attend it. He said that attending the reunion will probably be tough especially if you have not seen your classmates for a long time. I agreed that it would be tough, but I think it's an event that you should attend. My batchmates have been feverishly working on organizing the event and raising money for our batch donation. High school was tough for a lot of people. It was tough for me because there were a lot of expectations that I felt I could not meet. Being an introvert I was terribly shy, hated speaking in front of the class, absolutely abhorred reciting in class. I was simply not confident and very much preferred to work behind the scenes. Despite that my teachers did very well. They were able to teach me skills that have helped me throughout the years. The discipline they taught helped bring me to where I am today. But I'm probably like a lot of my other classmates. I have been dilly-dallying about going to the reunion. I don't know what to expect and I'm afraid of being judged. I've avoided past reunions (except the 20th year one) for many reasons. Hong Kong trip in 2007. 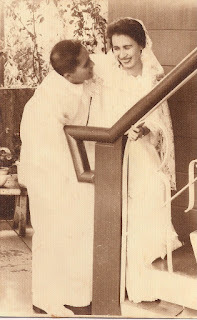 Visiting Ottie after she gave birth. 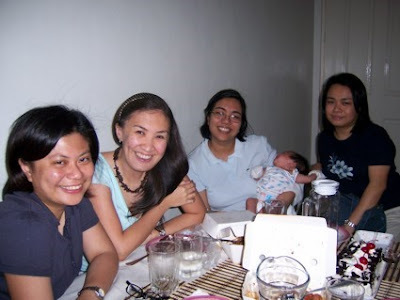 We were in our early 20s here. One of the rare times were were complete. My sister who is 16 years older than me came from the same high school. She had brought me once to one of their get togethers. If I remember correctly she was probably about my age now when that happened. She brought me there to show me my future. She said that as time goes the class sections, the cliques, the barkadas, the "segmentation" go away. The bullies from way back are gone. The bad stuff are forgotten and friendships start and are renewed. She said, "Your batch eventually becomes just one big barkada of sisters." It's true. When our Dad passed away my sister was not able to come home for his funeral, but there were a lot of her batchmates who came to pay their respects and provided us support. With my classmates during our 20th year HS reunion. And this is why I have decided to throw caution in the wind and attend my high school reunion. I just hope I'd be able to convince my close friends to come so we can catch up and see how life has been in the last 25 years. SSC Manila HS Batch 1992 silver anniversary/reunion is on February 12, 2017 at our alma mater. For details please check our batch FB group and you can bug your class president for more info. I hope I win the car!!! I have scaled down my travels in the past year. I'm not getting any younger and I now have preference to do more strategy work than implementation. Sometimes though I still have to travel. 1. Water bottle - long flights tend to dry you up and you may end up with a sore throat (and other sickness) if you don't hydrate. I always request the stewardess to fill up my water bottle at the beginning of the flight and they always indulge refills as well. 2. Extra shirt and face towel - a change of clothes mid-flight help keep the blues (and the baho) away. 3. Toothbrush and toothpaste - not all airlines provide this so it's best to have it in your hand-carry. (Also try to bring some mouthwash if you can). 4. Lozenges - sometimes even when you drink lots of water your throat would dry up. Lozenges help. 5. Entertainment bag - you can only watch as much movies and TV shows throughout the flight. I always bring a tiny quilting kit with me so I have something to do with my hands. I also always have a book with me. 6. Pen - for filling out immigration forms. 7. Compression socks - to keep DVT away! And one thing I try to do is assess what I really use during long flights so I can trim down what I put in my bag. It's a bit hard to think about going to the beach when you are in the middle of a thunderstorm. My parents though started bringing me to the beach when I was just 8 months old. We went to the beach every year and they used to complain that it was so hard to get me out of the water. Back then I wanted to be a mermaid! Things change though. I still like going to the beach, but I don't spend as much time in the water. My attempts though to sunbathe are always futile because I only turn red. I love going to the beach and I try to go every first quarter of the year. I have not been around that much and try to avoid the popular places, but here are some of the unforgettable beach places I've been to. Not a famous place to go to but this is home for me. This is where my family used to go to every single year together with neighbors. I have a lot of happy childhood memories here and this is where my Tita Olive lives. When we're here we live in a nipa hut and we use the poso to take a bath. I had my worst sunburn here haha. I'm really sad though that our neighbors in Camangui violated the zoning ordinance and built an illegal wharf beside our property. It's not as good as it used to be. Anne was the one who introduced me to Carbin Reef. It is a tiny reef found on the Sagay Marine Reserve. Just sand and water around. They have some tiny huts on the reef, but most of the reef disappears by late afternoon so you just go there to swim and eat your baon and then swim again and then leave. I super love this place because of the tranquility it brings. The tiny fish also like biting off my dead skin so it's like going to the spa haha. Carbin Reef is now on top of my list whenever I want to go to the beach. It's been a long time since I went to Samal Island. I love though how easy it is to get there. The last time I went I was with my best friend and high school classmates. The water was clear and calm and since it was a resort it was easy and inexpensive to get lots of food! I think the place is unforgettable for me more because of the conversations we had while we were in the water. 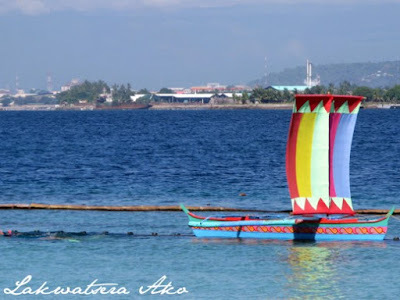 We joined an island tour a few years back and the bangka docked at Pambato Reef. The area is good for snorkeling. The water was really deep and my imagination run wild after I went in the water (immediately went back to the dock haha). It was unforgettable though because of the many types of fish I saw. I didn't get to see any turtles though. When I was in college our student publication would take out of town trips for our writing seminars. We had gone on a short boat trip around the place and the boatmen brought us to a cove where they encouraged us to take a dip in the water. The water was so clear I immediately went in thinking that the water was shallow. I was wrong! 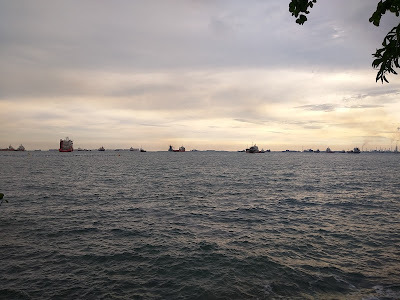 My overactive imagination pushed me to get out of the water just after awhile. It's been more than 20 years since that happened but I remember the place very clearly. I had the chance to visit Morocco in 2012. We had an event and was billeted at a resort hotel. My room overlooked the North Atlantic Ocean. The water had a different shade of blue and was so inviting. I had wanted to go to the water but I didn't have a chance because we were so busy and I noticed that only men would go swimming. 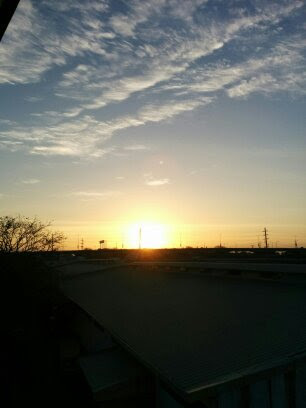 The weather before and after work also was too cold for me. It was my first time to see the ocean from that part of the world so it's quite memorable. Maybe someday I'll be able to go back. Beach holiday with the family. It's been more than 8 years though since the last time we've been to Bohol. I love going to the beach there because it has a lot of character! There's starfish, a lot of shells and other marine life. The sun also seem to be nicer in Bohol because I managed to get a slight tan there. Hope to go back soon! I think everyone has Boracay on their list. I had the chance to go island hopping in Boracay and that was memorable for me. The milky white sand also is a reason why I go back every few years. Another place which everyone probably has on their list. 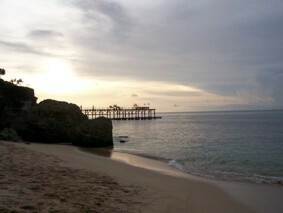 Bali because I have a lot of fond family memories here. 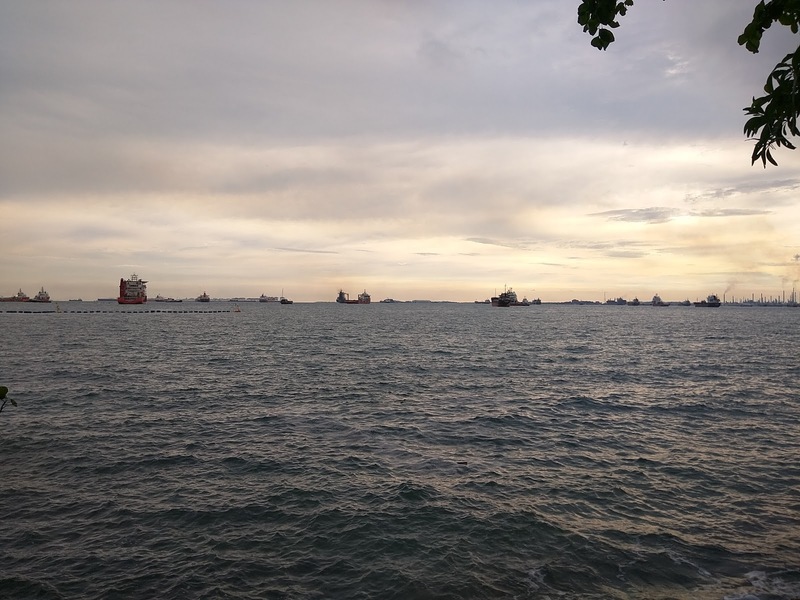 When you are based in Singapore and want a quick beach getaway you can easily just ride the ferry and be in Indonesia in an hour! We've tried both areas and usually spend time there when we want to get away from city life. I was only able to start saving when I was already in my 30s. I'm special because I had Miguel to take care of. I survived paying for grad school because my Aunt bailed me out of tuition fee-credit card debt. Since then I made sure that I would make sure I paid all my dues every month. My Mom also kept reminding me that it's important to have a good credit standing especially if you eventually need to get a mortgage or an auto loan. I've since completed payments for my tiny car and I hope to finish our mortgage soon. Living in a tiny home helps a lot. When you don't have much space it means you should just buy the things that you will use. When I was living in a bigger place I tended to buy more groceries and my mother-in-law said that our pantry looked like a supermarket shelf. Of course, I then learned the lesson that you should only buy enough so that grocery items get used before it expires. 1. Budget. Best to budget at the beginning of the year based on your expected salary. Allot payments for taxes and savings before other items. Travel and lakwatsa is unfortunately at the bottom of my list now because I have other priorities to focus on. 2. Live simply. Pope Francis keeps reminding us about this. All my expenses revolve around my family and what will make them happy. The only indulgence I have now is buying stuff for my hobby (quilting!). 3. Stop comparing yourself to others. Sometimes you end up buying stuff because you think you need it. And sometimes this is because you think you need an item to fit in. I know I'm different and oftentimes the odd person out. I have since embraced this and just live based on what makes me happy. 4. Think about your future and the future of your family. I always think about this and because I have a medical condition I want to make sure that my family will not have a hard time in the future if I get sick again. 5. Identify what is important for you and prioritize your spending. And make sure you don't let money take over your life. Have fun! Do We Always Want to Focus on Darkness? Asked the priest this morning during his homily in today's mass. Do you always think about the bad things? Do you spend more time noticing what's not good? Do you always seek to find what's wrong? The question brought me out of my daydream. My mind had wandered off to the last episode of TIMY and I was thinking about the issues of Ali and Stephen when I heard the question. I have that bad habit of zoning out when I'm supposed to be focusing on something (like homilies, sorry Papa God), but oftentimes snap right back at the moment when I'm supposed to listen. The priest went on and drilled to personal questions like do you worry about your health? Your finances? Your marriage? Everything? Everyone worries the priest said, but that's not we should be focusing on. I realized then that I do tend to worry a lot and this stresses me out. I get sick when I get stressed (Dr. Koo won't be happy!). This thought brought me back to the time when I felt so much despair in my life. I had recovered from my broken heart at that time, but my life wasn't exactly where i wanted it to be. It was when I gave up and told God to please just take over and bring me where I should be. After that I was directed to the right path and eventually found happiness. I had been worrying a lot the last few weeks and it's probably why my sinus infection is taking so long to clear up. Aside from personal stuff I've also been worrying about what's happening back home and what's happening to the world. I have been making it a point not to comment on current events in my social media accounts to lessen the stress (for me and for others). I told myself though that I would rather focus on finding solutions than ranting about it so that I could contribute to a better world in my own little way. So I think what I will do is focus on the positive. I've asked my boys to help me on reaching my wellness goals by having them create their own targets too. Part of the goal is to collect a weekly "what I am thankful for" list and we'll read this for new year next year. And for the bad things I tend to think about, I'll practice the deep breathing technique Chade Meng Tan taught us last year. It was raining so hard today. Decided to just chill at home and work on my wellness bingo card. I hope to have time to go to the beach this quarter! There are good days and there are bad days. Today was a great day. Based on my post yesterday, it wasn't a good day yesterday. I guess it really depends on which side of the bed you wake up on. I've been having bad sleep the last few days, possibly because of the medicines I have been drinking to cure my sinus infection. Phil told me earlier that the meds should put me to sleep. I said I don't know why but my brain has been hyperactive the last few nights. My EENT will not be happy because he said that one must have good sleep every night. And to have that you should breathe freely (of course he's an EENT). My cardio would say, "No stress. Have a happy heart." To commemorate today's happy day we decided to go to the beach to breathe in some fresh air. It's been a grueling work week for me full of ups and downs and being sick does not help. Since it was Friday the hubby suggested we go to the beach to relax, breathe fresh air and then have a good dinner. 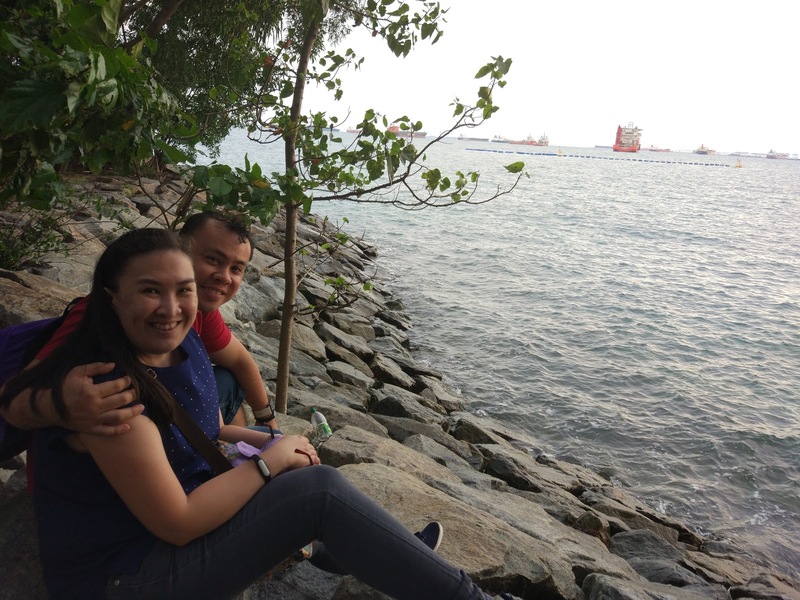 So off we went to Sentosa. We had a nice good walk at the beach side and had some snacks (Jaybucks!) by the water. It was a nice refreshing way to end the work week. How do We Bring Things Back to Order? In elementary school one of the things I remember our teachers kept reiterating was the good values that we have as Filipinos. We were taught that Filipinos are always hospitable, family oriented, have debt of gratitude (utang na loob), being respectful, being simple, hard working, humorous, religious and the bayanihan attitude. On the flip side, there's also the bad stuff - crab mentality, being boastful (mayabang), ningas cogon, bahala na, Filipino time and gossiping. There are many more. I never thought I would have the opportunity to work for a foreign company. I always thought that I would just be based back home. I assumed that being the youngest I would be the one to stay home with my parents since my siblings both live abroad already. Opportunity came and I found myself working with a diverse set of people and eventually found myself living far away from home. I found that Filipinos always put their best foot forward when abroad. It is when we show that we are hard workers. It's also when we are at our charming best. It's also when we always follow the rules. When I went home last Christmas I noticed that we do tend to beat/ignore the red light (a lot of jeepney drivers do this). Pedestrians not following the signs. Throwing trash everywhere. And it's not just in Manila because I saw these things happen also in other cities in Northern Luzon. In the compound I live in Manila, my neighbors oftentimes rant in our FB group that there would be others who would just let their pets do their thing and then leave the dirt after without cleaning up. Or when others would just leave trash lying around to be scavenged on by cats. It's sad. It's really, really sad because we all want to have peace and order, but we do not follow these simple rules. I wonder how we could bring back what the ancient barangay represented. 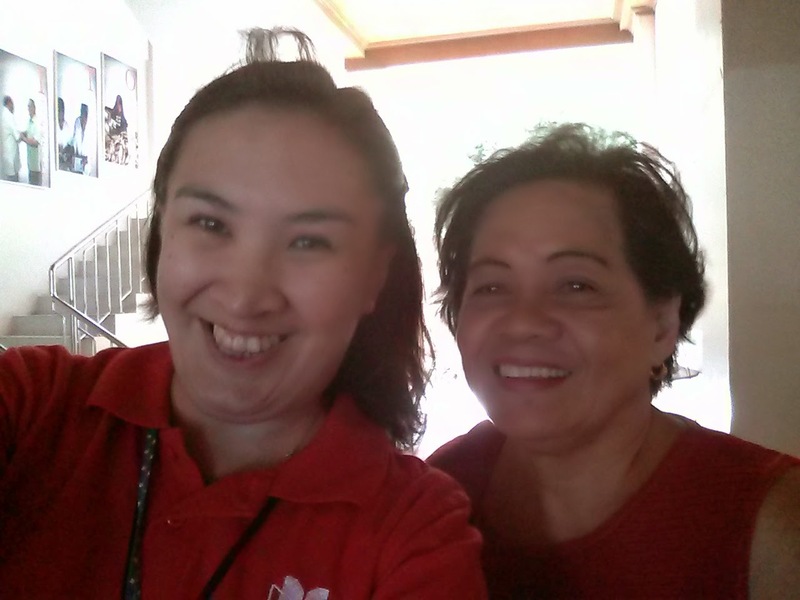 The time when being part of a community meant being helpful and being good neighbors. I know it's going to be hard because life is hard especially in the city (i.e. getting to and from work is a daily struggle), but maybe if we love our neighbor a bit more, maybe we can bring things back to order. I got sick and after reading the blogging attempts I did early this month I decided to rest and just re-start the challenge when I felt like doing it. My target was to start again on January 15, but I had a relapse over the weekend and had to use all my energy for our quarterly review. I survived the review, but hope I did not infect anyone else. Saw my favorite EENT right after my last review and he ordered me to take at least one day rest. So yesterday I rested and as the day progressed I started to feel really sad that I've been sick for more than a week already. I was also sad because the doctor gave me antibiotics again. I know I need it to get well, but I was hoping I wouldn't need to drink antibiotics for several more months. I know that worrying is very unproductive so I took the time to sleep to help heal my body. My brain was also having a hard time anyway figuring out a new assignment that was given to me. I was still sulking by evening and was quite masungit to my boys. I wanted to work on some projects but my body wasn't cooperating. 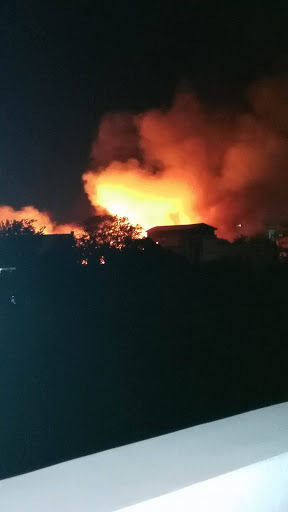 Past ten in the evening I received a message from Phil about the fire that broke near our place in Paranaque. I immediately checked for news about it to identify the area. I realized that it's quite hard to get the exact area from Twitter because they usually just state the general location. I was starting to panic because the areas were near our place. Photo by Myra, our neighbor. After scouring through tweets I finally found the correct area that was on fire -- Sitio Pag-asa, Barangay Sun Valley. I immediately checked the map to see how near/far the area was. It was very near. I kept telling myself, DO NOT PANIC. I then checked on my Mom to see if they already knew about the fire. They did and they said that they could hear explosions coming from it. My neighbors who were chatting on our FB page also indicated that there were many explosions coming from the area. I then informed my other neighbors in Sun Valley about the fire. Photo by our neighbor Daisy M.
The alarm was eventually set to 5. I did a bit of research to understand better what the alarm levels mean. It's mainly about what level of authority will be in-charge of the situation according to the Bureau of Fire Protection. Because it was already level 5, fire trucks from all over Metro Manila came to respond. Ate Luz said that there was a firetruck already in our street which is about a kilometer away from the fire. I really truly appreciate the hard work the fire fighters did to protect everyone and save properties. 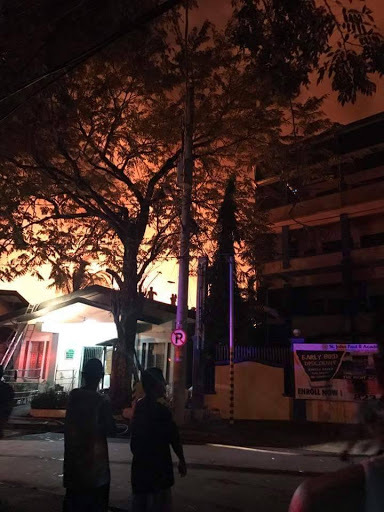 According to GMA the fire was controlled at 12:07am and it was out at past 1 in the morning. Sixty houses and 150 families were affected by the fire. There were no casualties reported (thank God!). The fire hit very close to home. It was just a kilometer away from my home and my Mom's home. Being far away the only thing we could do is to pray that the fire fighters could put it out as soon as they could. I also took it upon myself to find accurate information to share to my family and get as much info to assuage my fears. The work now is to help the families affected by the fire. My neighbors shared that the Marimar chapel and the school was also affected by the fire. If you would like to send donations, you may send it to the parish through Our Lady of the Most Holy Rosary (+632-823-1210). It's been a very long day and I'm still on the road. Will just post tomorrow zzz. Our goal today was to buy pasalubong for our parents and earmarked time to buy goodies at Mountain Main Training Center (Good Shepherd) and get some veggies from the Baguio City Public Market. It was a bit challenging getting on the right road to the Good Shepherd place because some of the roads recommended were closed to traffic. 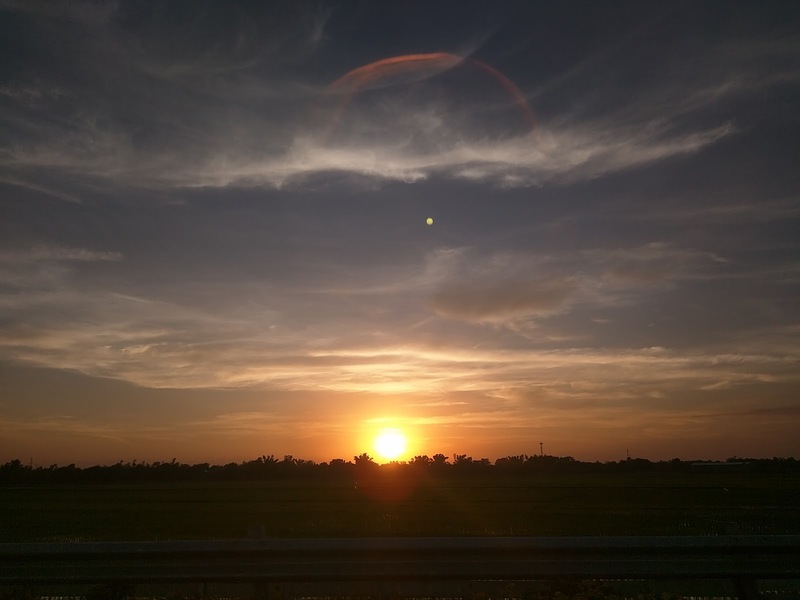 We almost ended up going to Nueva Vizcaya! The view though was very nice and we just turned back to find a safer route to the center. It was real treat to see this lovely view. We wanted to finish our shopping before lunch and attempted to go to the public market. Finding parking though was very challenging so we decided to just eat lunch first and just go back. Luckily we were able to park at the department store across the public market. 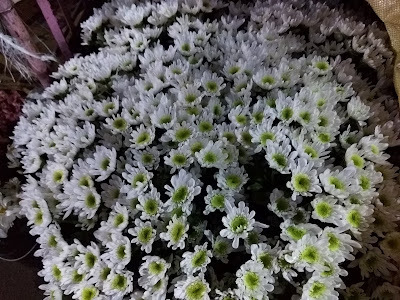 I've been to the Baguio City Public Market several times already, but only discovered today that there is a pasilio just for flowers! The area smelled heavenly and it was so tempting to buy a bouquet. The public market in Baguio City is one of the cleanest I have been too and I absolutely love shopping for vegetables and rice there. The best brown rice I have tried is from Baguio City and that was the main reason why I wanted to go. Aside from rice we got 2 brooms, strawberries and some veggies for our parents. There was also some fun zumba ongoing inside the market! 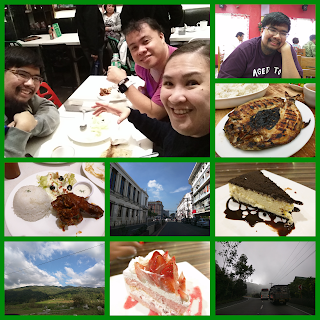 I realized that three nights in Baguio isn't enough! I still have a long list of new restaurants I want to try, but will have to save it for another time. I hope it won't take me another three years to go back! Ahhh tonight I'm blogging using a tablet (with a bluetooth keyboard), so hopefully I will have an easier time. Hotel wifi though is a bit slow, but much better than the last time I stayed here in 2014. 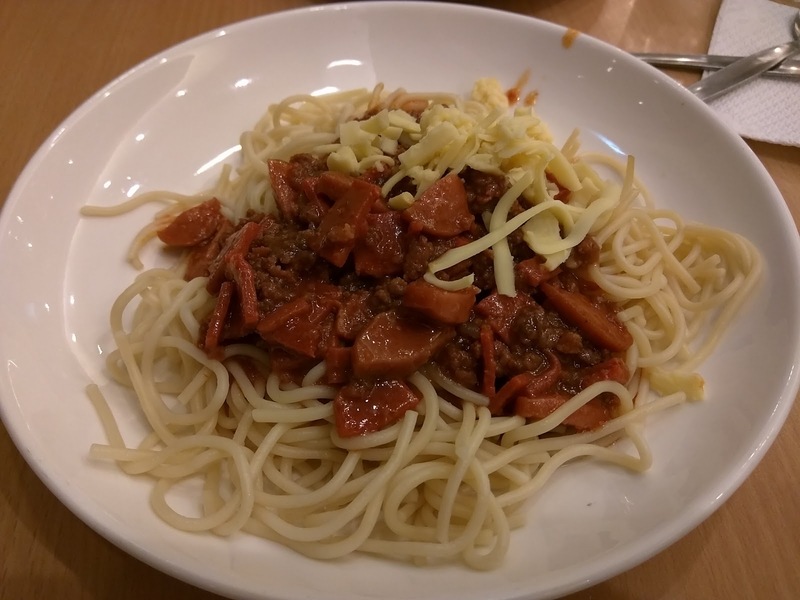 Our family vacations generally revolve around finding good local restaurants we could dine in. Friends usually help with recommendations. 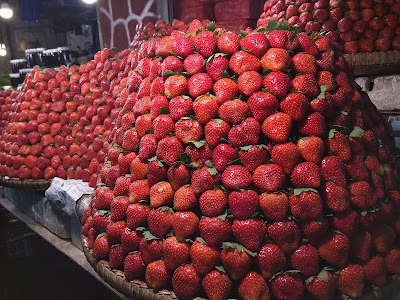 Our friend, Vince, told us that there are now a lot of new places to try in Baguio. We've been to Baguio numerous times and have been to the usual tourist places several times so our theme for this vacation is, "Happy tummy!". Our first stop last night was "Don Henrico's". 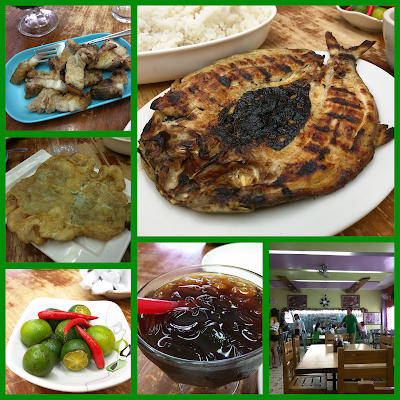 Don Hen is a well-known local restaurant that originated in Baguio. We always eat at Don Hen whenever we visit Baguio. I'm glad though they now have sampler plates because I don't need to bring home any leftover anymore. Next door was "Vizco's". Vince described it as the locals' sosyal (affluent) cake shop. The cake display looked amazing so we sat down and took a look at their gigantic menu (it's much bigger than the ballot cover folder when you vote). We ordered a strawberry cake and oreo cheesecake. It was absolutely heavenly! We'll definitely go back! After dinner and dessert we were too tired to do anything else and went back to the hotel and immediately conked out. Well I managed to blog a bit about our trip last night (I don't really remember what I wrote anymore hehe). Ahhh Baguio, the cool air would definitely force you to catch up on zzzs. We usually try to take a few family trips every year. We always avoid crowds though and prefer to travel after the holidays. We decided to head north again this year. We have not been to the summer capital of the Philippines since January 2014. 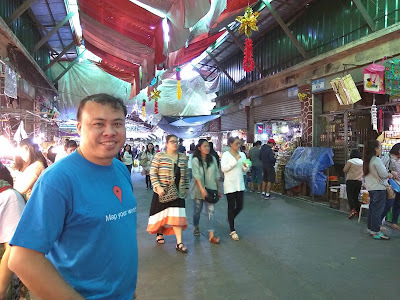 It was an easy drive up from Manila with lots of stop overs to check out Poke Stops and to contribute new gas station locations on Google Maps. We left Intramuros at around 9 and reached Baguio at 4 in the afternoon. The trip would have been shorter, but we took time eating at Matutina's and checking out the new gas stations along the way and we went via Marcos Highway because it's safer. We rested for awhile and then headed to SM to buy a few things and then walked over to Session Road to eat at Don Henrico's (the original!). We had dessert at "where the locals get their dessert fix" (Accord to my friend Vince) - Vizco's. After eating so much we were too tired to do anything else and headed back to the hotel. I decided not to bring my laptop so I'm just blogging using the Blogger app. More photos when I get to blog on my laptop! Today is my parents 56th wedding anniversary. We had celebrated their golden wedding anniversary back in 2010 with a simple renewal of vows and a party with family and friends at home. It is going to be a milestone year for me as I have been asked to be a godmother for two weddings. I honestly got freaked out the first time I got asked and it took about a year before I was ready to accept an invitation. My parents imparted on us the seriousness of marriage. As the old saying goes, "Hindi yan tulad ng mainit na kanin na pwede mo na lang iluwa" (It's not like newly cooked rice that you could just spit out). Your love should go hand in hand with commitment. I never saw my parents fight when I was growing up. The only time I saw them not talk to each other was after their golden wedding anniversary. For three days they did not talk to each other and refused to say why. I panicked and called up my siblings to let them know. It was a bizarre experience. And then on the third day they just started talking again and explained that they had forgotten about what they had argued about. My Mom explained to me later after Dad passed away that they would fight, but agreed to never show it to us. My parents were great role models for me. I had stumbled a couple of times along the way, but my Mom always reminded me that when I find a spouse he should have the same values as we had. I remember making a very long list of the ideal guy. The only item that Sweetie didn't get was to have straight hair (haha). Finding the right one is another story I will tell on another day, but here's a list of bilins from my parents before I got married and some stuff I've picked up from them. 1. Put God at the center of your family. 2. Always settle your differences before you sleep. 3. Give and take. Negotiate. 4. Talk, always. Laugh everyday and be playful. 5. Be on time all the time. Follow the 5Ps. 6. Be happy to be in each other's company and do things together. (My parents rarely went out and were always together). My parents lived a very simple life. We lived on a bungalow with lots of space which took my parents 15 years to pay. We rarely took out of the country family trips (only 3) and usually stayed with relatives. Their idea of a family vacation was taking a rode trip to go to our hometown in Bicol where we'd live in a nipa hut by the beach. Our home was also like a mini-farm. We had fruits and veggies growing in our backyard and had chickens, quail, kuhol, dogs, cats, birds, fish etc. as well. Eating out was a luxury. We were simply just together all the time. We are far from being a perfect family, but my parents strong marriage always kept us together. 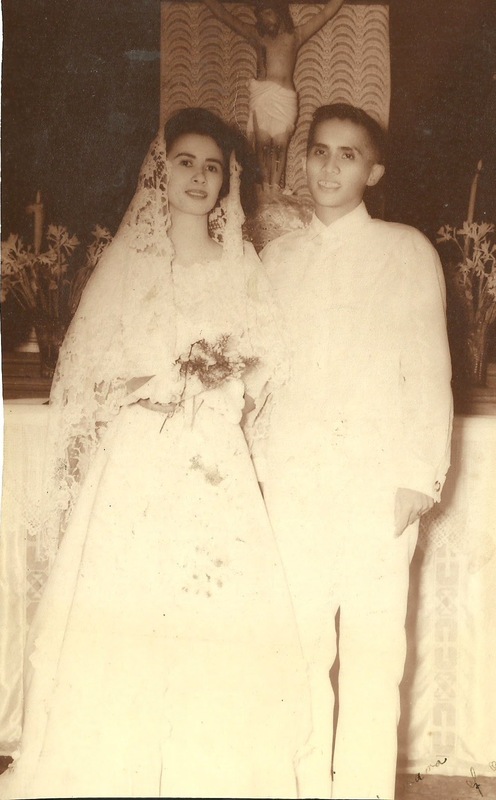 Their original wedding date was supposed to be January 2, 1960, but because of a very strong typhoon they had to move it the next day. Their marriage may have started from a disaster, but their resilience and their commitment made it strong and a love that is forever. I have been challenging myself to blog for 30 consecutive days in the last few years. I do this to make sure I don't go into a writing slump again which went on for eight years. There are days though when I feel like sharing a lot of things and then there are days when I just want to keep things to myself. When I used to be in charge of our parish newsletter I used to get a lot of instant feedback from neighbors. It encouraged me to write more. The last few weeks though a lot of my posts where I share thoughts about politics have been getting a lot of attention. I could write more about politics but I choose to have peace and just share ideas which I think could be helpful. The list doesn't really resolve my issue on putting a structure to what I would be blogging about in the next few weeks. So I think I'll just follow my instincts and blog about a wide array of topics that I hope would be helpful/inspiring. Goodbye 2016, Hello Hopeful 2017! A lot of people would probably agree that 2016 was a very bad year. It was tumultuous, a year full of regret, bad decisions. It was the year that evil took hold. Killings, war, terrorism, people fighting online and offline etc. It was a very stressful year and I must admit that towards the end I decided to just hibernate and focus on work and family. 2017 will be a better year as long as each of us make an effort to make it a good one for everyone. I was thinking about what I could do this year to make it a great year for me and the people around me. In 2016 my main goal was to put my family in one place as advised by a friend who passed away in 2015. He said we just have so little time on earth and we should spend as much time as we have with our love ones. I was also have a very difficult time being away from my family and the frequent trips I had to make was taking its toll on my body. I haven't really thought about what I'm going to do this year. The big audacious goal I have is to create more memories with my family. One thing I learned from work is you need to define your goal well and then identify two to three key things you will do to meet this goal. Time is also a limited resource determining key goals is much better than making a long list of things you'd want to do for a year. I have not written a new years resolution for a long time now. So the big goal this year is to make more memories through spending more time together doing mundane things and more exciting things like traveling. I pray that we will all have an awesome 2017 anchored on love, truth and being simple.